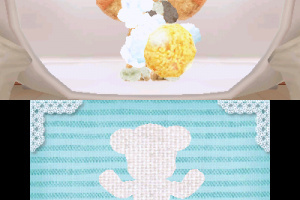 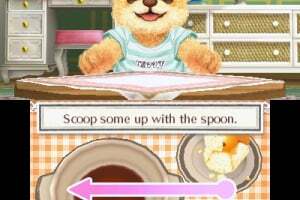 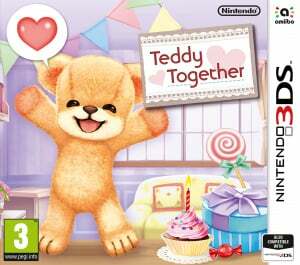 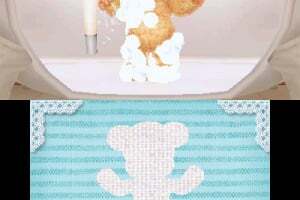 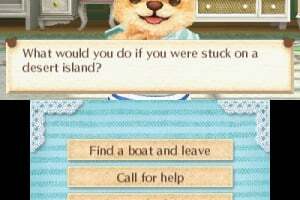 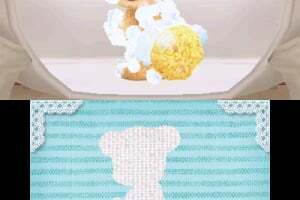 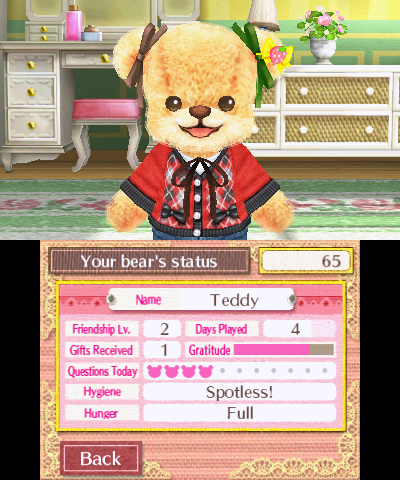 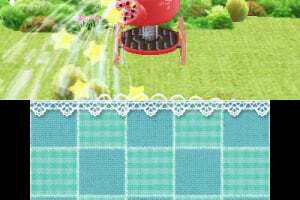 The story begins when a teddy bear is delivered to the player's house, along with a mysterious key. 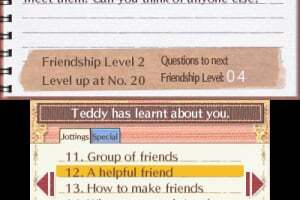 The magic starts when Teddy springs to life and starts to speak to the player! 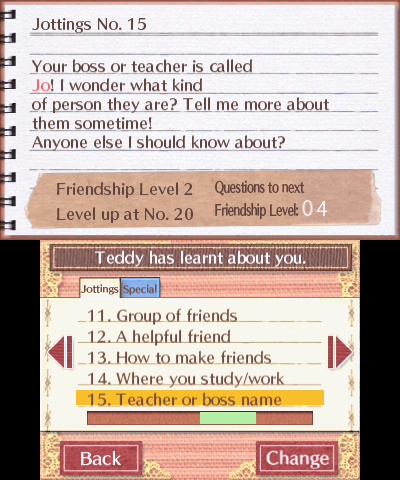 Children can give Teddy a name and enter their own name, creating an instant personal connection between the two new friends. 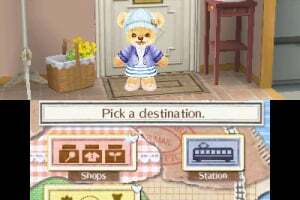 From this point on, the tale of Teddy Together advances a bit each day as children learn more about the teddy's purpose and the mysterious key, making it an ideal interactive bedtime story that parents and their young children can enjoy together. 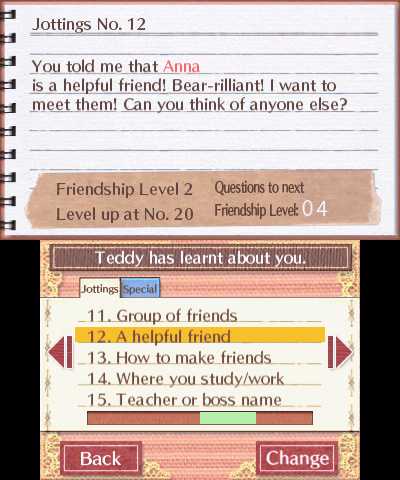 This inquisitive little bear is particularly interested in learning more about friendship, and often asks the player questions like, "What do you do for fun? 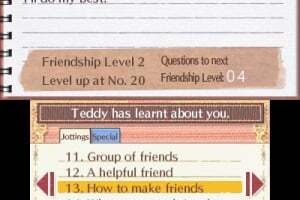 ", "How do you make friends? 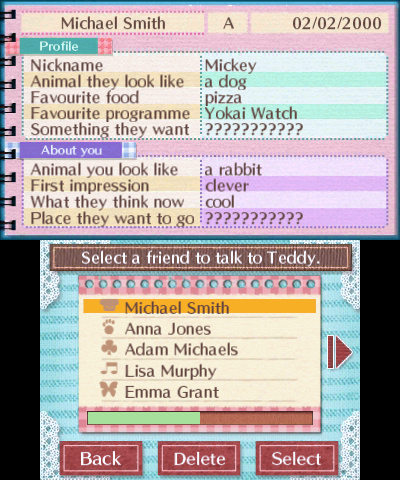 ", and "What's your favourite food?". 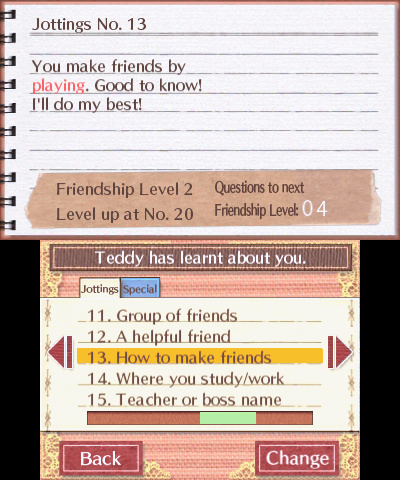 Teddy will remember those answers and bring them up in conversation later on, forging a unique relationship between Teddy and the player, as the answers are always just between them*. Teddy's cute reactions and encouraging personality are sure to bring a smile to any child's face, which might even help them grow in confidence and self-esteem. 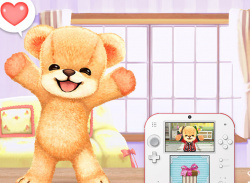 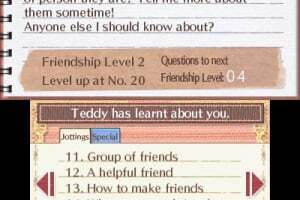 Players can also introduce Teddy to their friends, who can give answers that Teddy will remember and even mention later on. 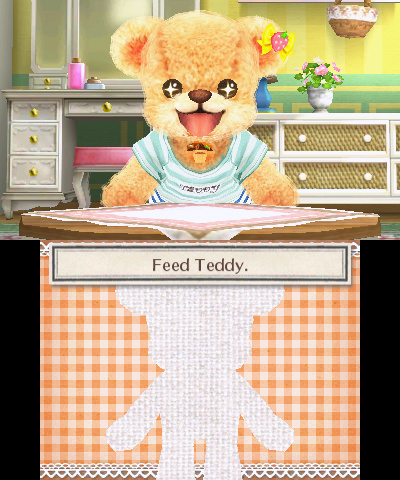 Teddy loves to eat too, so children can play fun minigames via the Touch Screen to prepare a range of meals, then feed Teddy. 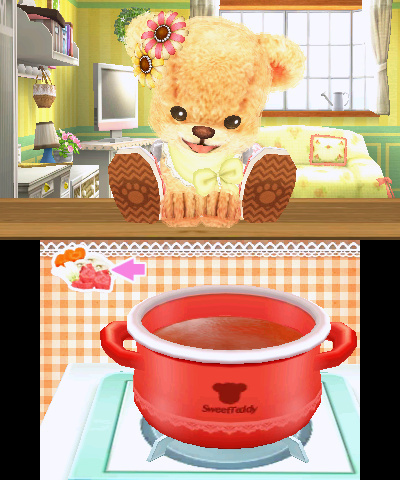 But be careful: sometimes the food will be too hot, and the player will have to blow into the microphone to cool it down! 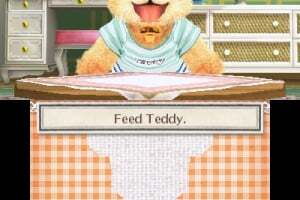 Teddy can be a bit of a messy eater at times, so a little light cleaning might be needed after a meal. 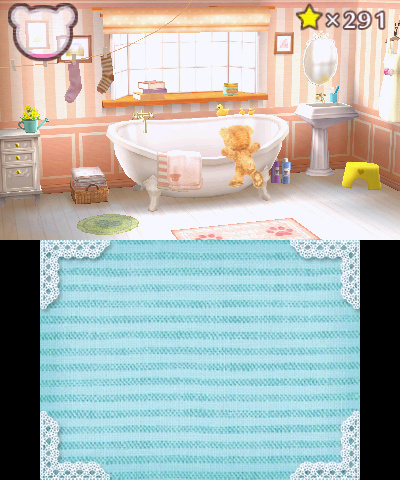 Don't worry: Teddy also loves to take baths, so is never dirty for long! 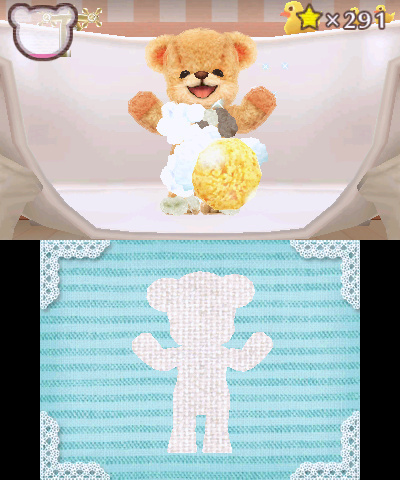 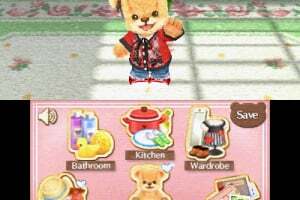 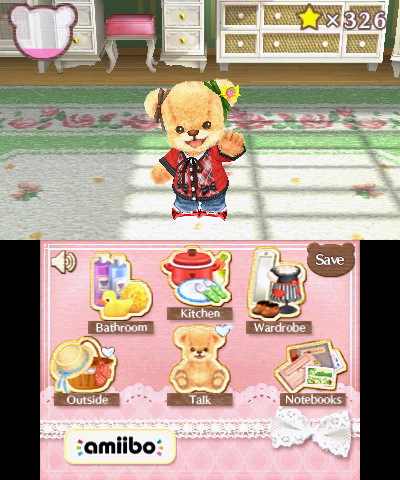 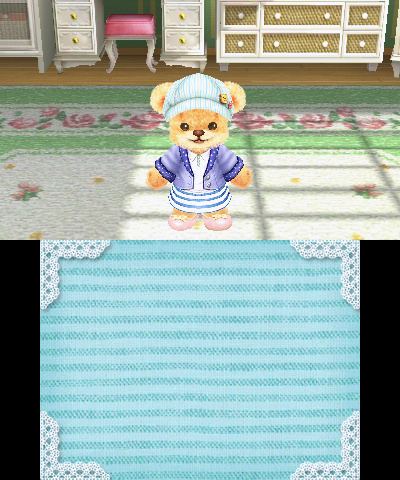 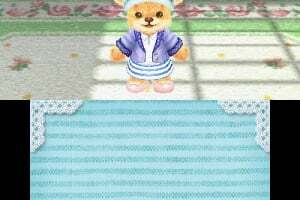 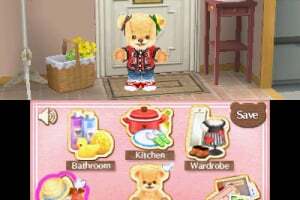 Players can dress their teddy up too, with a big range of tops, hats, shoes, accessories and more, plus different fur colours to unlock too, making each player's bear even more unique to them. 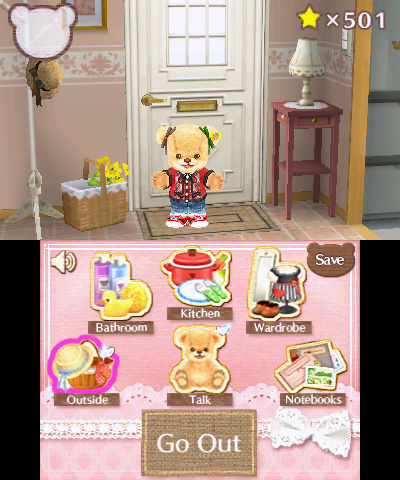 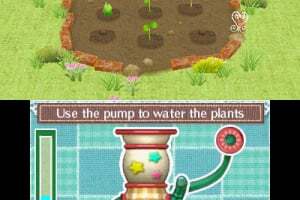 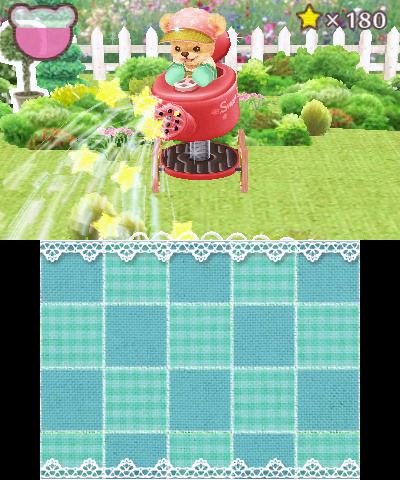 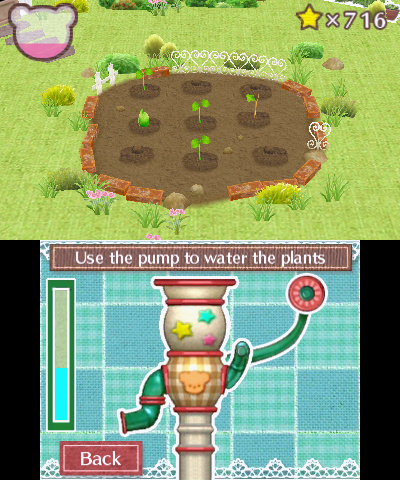 Clothes, special lollies that unlock new fur colours, and seeds that can be planted in the garden are all purchased using coins, which are earned through playing or by tapping a compatible amiibo figure once a day. 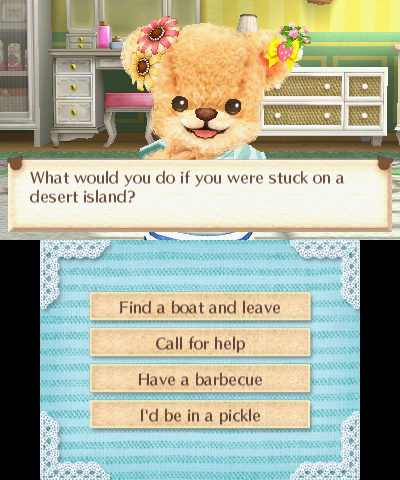 I just tried the demo. 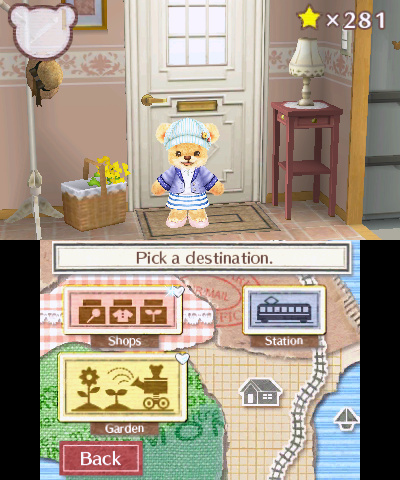 On the good side, this game is adorable! 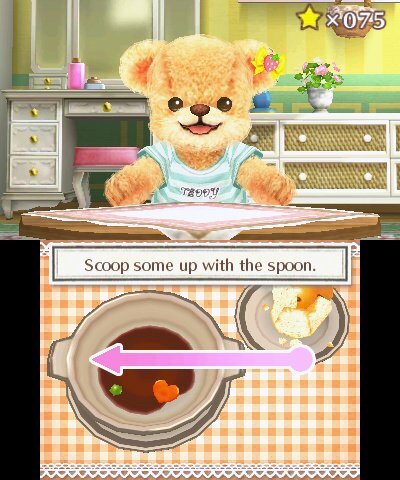 On the downside, his voice is SO annoying!